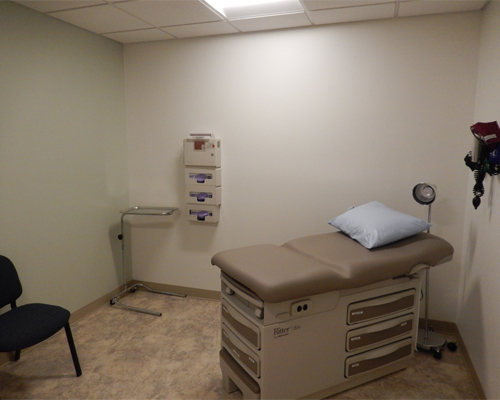 Interior modifications were made to the existing Castleton Family Health Center in order to create a designated same day treatment space at the facility. 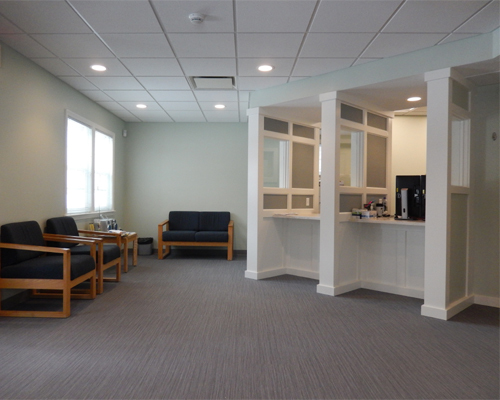 A separate entrance and vestibule bring patients into a new waiting room and registration area. Wide hallways lead patients to either the triage room or one of the five exam rooms. 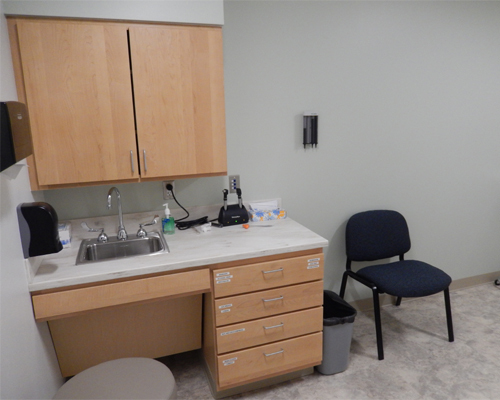 There are also multiple work stations with varying levels of privacy for the providers and staff. The new finishes and color selections throughout the space help create a comfortable, calming sensation for both the patients and the staff.